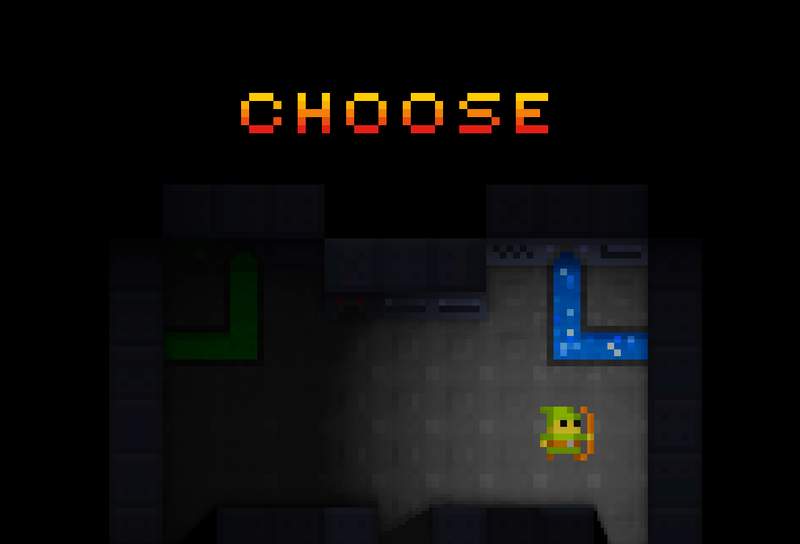 Old school fun meets new school flair - 8bit graphics with real time shadows, particles, bump mapping and more. Gameplay has permadeath but with progression (skills, crafted items, professions, and proficiencies), heavy crafting influence, and more. 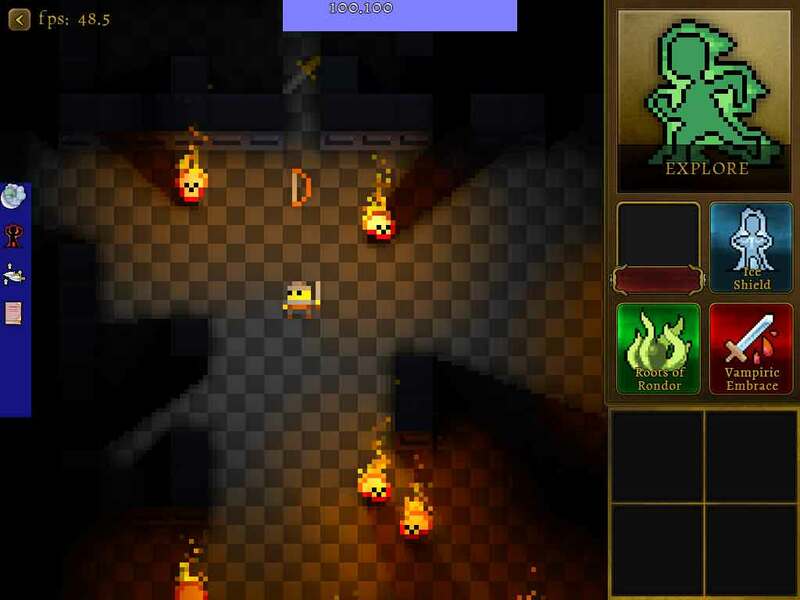 It's hard to live up to the name "7 Year Roguelike" - I often have to go months, even half a year, without being able to work on it in order to keep up (down?) that pace of development. Such is life. This was far more work than it should have been, and impacted every aspect of the rendering and tool pipelines. I also took advantage of the churn to refactor spritesheets a bit more sanely. 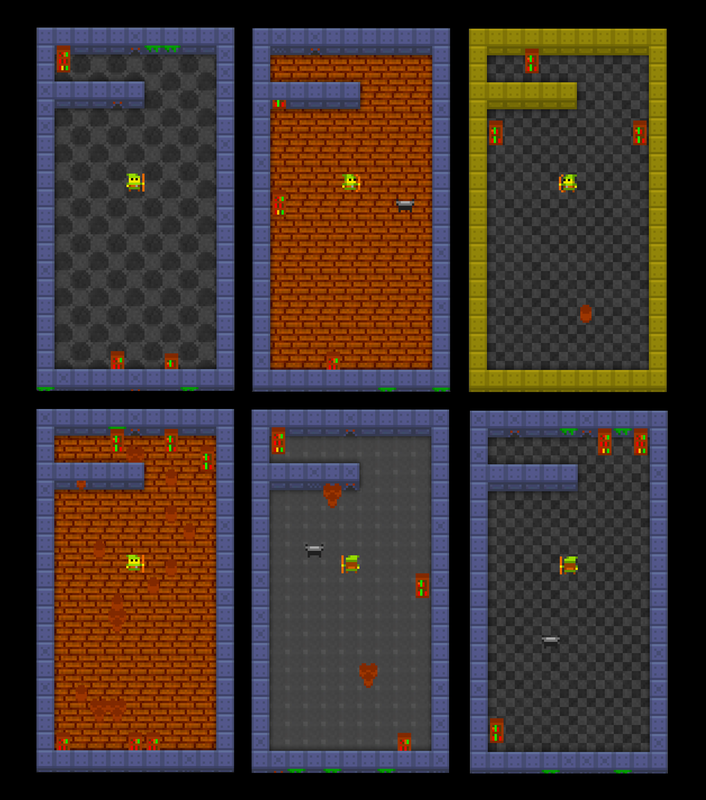 On the plus side, 16x16 allows much better looking normals; on the downside, it (a) requires more power, and (b) requires me to find a real pixel artist to create an entire new set of tiles :P. Until then, I'm just using the original 8x8 tiles (from Oryx Design Labs) doubled in size; so it looks the same except for normals. I picked up a Retina macbook, and everything shrunk to half size, so I added High DPI support to fix it. Yet another unexpectedly high cost refactoring and I've got a few more hacks now than I did before. Lessons learned! 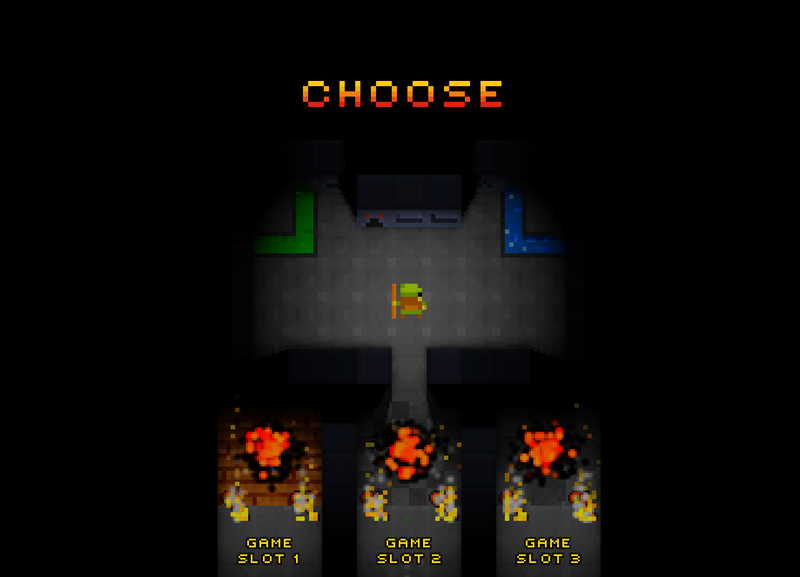 As soon as the game is started, the player starts 'in-engine' - they walk a little dude around to select gameslot, navigate the main menu, etc. Kind of cool, but time will tell if it's too much overhead. I'll need to ensure there's a quick way into the game. 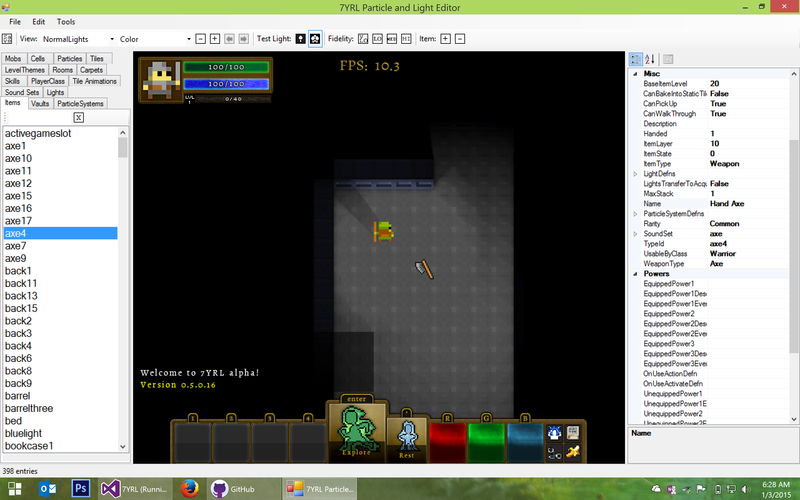 Particles are fairly well broken currently due to the 16x16 refactoring. Similar to how it looks like Claustrophia works, I've added custom room templates; these lie somewhere between 'standard' rooms (default dungeon floor, walls, and adornments) and 'vaults' (prelaid out rooms - e.g. "Ogre King's Throne Room"). The template specifies probabilities for floor tiles, wall tiles, and adornments. The above picture shows the same room - with lighting disabled - with various different room templates applied. I've only gotten the engine in place, and haven't yet created interesting templates.It's completely tool-driven, so all I have to do is create the graphics and the engine takes care of the rest. Rooms still feel pretty boring to me; I'm waffling on whether or not that needs to be fixed for V1. 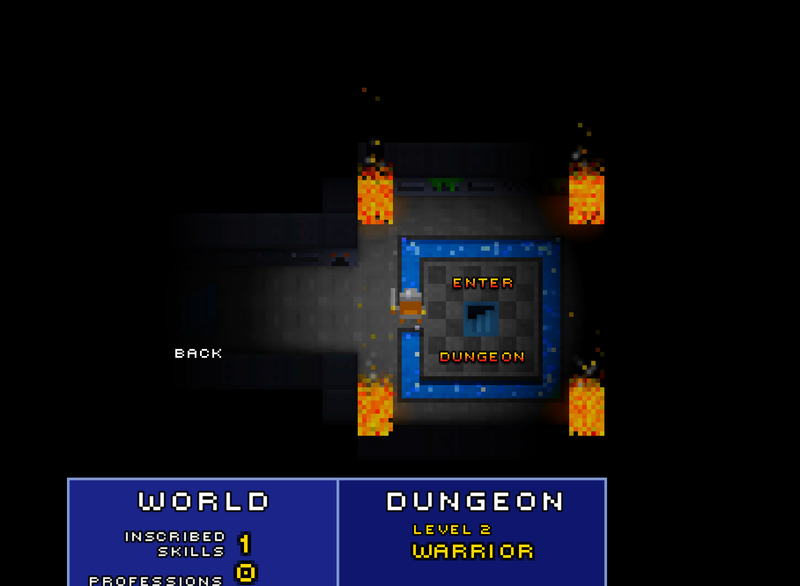 Most classic roguelikes have pretty boring rooms when you get down to it, so maybe it's okay? The game's toolchain is now entirely built around a common core. Players will never notice it, but my dev QoL is muuuch higher. I added a message pane ala WoW; it spits out damage and various other actions. I still need to add skill usage and the like.In the above image you can also make out the higher fidelity normal mapping on the outer edge of the bear. Particles in the pipes flow 'properly' which is a nice touch. Unfortunately, I'm not sure how much time I'll have to put into 7YRL over the next few months; it feels like it's getting close enough that I could theoretically strip a bunch of incomplete stuff out (e.g. proficiencies), add a few more roguelike basics, balance it out, and ship a v1 without too much trouble. However, my job disagrees; I recently mapped out the work I have to accomplish over the next few months and notified my boss that all I need is 17.5 days per week to get everything done. The folks reporting to me have it easier at only 10 days per week of work through Q1. Such is life. 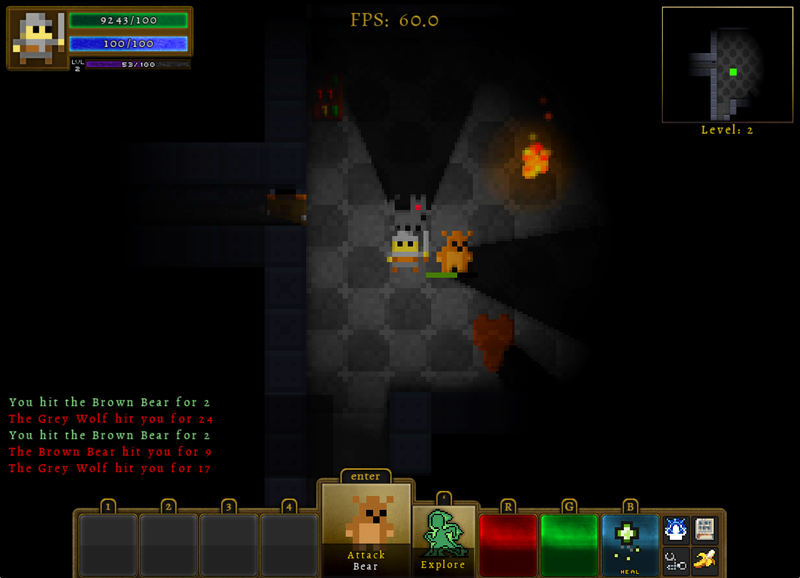 This update adds sound effects, ranged skills, skill animations, and doors. Big updates in 7yrl, including the first example of progression-through-death: Skills. Mac/OSX Demo: New Alpha WIP demo with ranged skills, skill recipes, tile animations, doors, and more. Guessing it's still too early for a youtube video... BUT! I'll play it! I withdraw that question.... The game won't even load up. I was gonna say that these character Sprites are from Realm of the Mad God, but they are public domain sprites! Interesting game you have here. :) The real-time shadows are fantastic. Thanks for the good word! The 8bit sprites aren't quite public domain though - I purchased a license for them from oryxdesignlabs and have been very happy with them so far. I did do the extension into animation though as the oryx set is just the single image; that explains why they look good standing still but janky when moving ;). The 24bit images come primarily from Ails' '420' public domain set (google ails 420 to see it). You can see those sprites in plenty of games, so yeah. Those EXCLAMATION MARKS in the video are very intrusive. Would you consider to make them smaller/less opaque ? Yep! Most of the game is in the 'proving out the infrastructure' stage and I haven't worried too much about making it all look 'right' just yet. Loooot of polish waiting to be done after I get the systems themselves solid ;). Thanks for the feedback!